There are 55 posts filed in Fearless Salary Negotiation (this is page 2 of 6). I visited Charleston, SC for my first 10k race last weekend and it was a lot of fun. 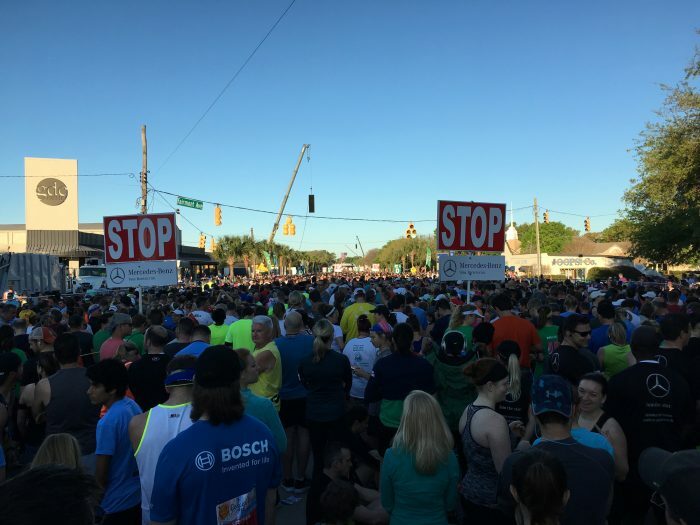 If I’m being honest, my main motivation was to eat lots of delicious Charleston food, and my penance for all that delicious food was running a 10k. Since I was in town, I figured I might a well run the race right? I finished in a mediocre 56:02. Still, that was a full 6 minutes faster than my only practice run so that’s something. I started training about eight weeks ago after not running at all for…well, I honestly can’t remember the last time I ran a mile before that. It was a great experience and I’m glad I did it. But I also made some rookie mistakes. I was worried that my adrenaline might make me jump out to a too-fast start and burn out early, so I took it easy for the first two miles. What I didn’t realize was that the sheer size of the crowd was enough of a damper to keep me from burning out early. It wasn’t that crowded the entire time, but it was still pretty crowded. This mistake cost me a few minutes. 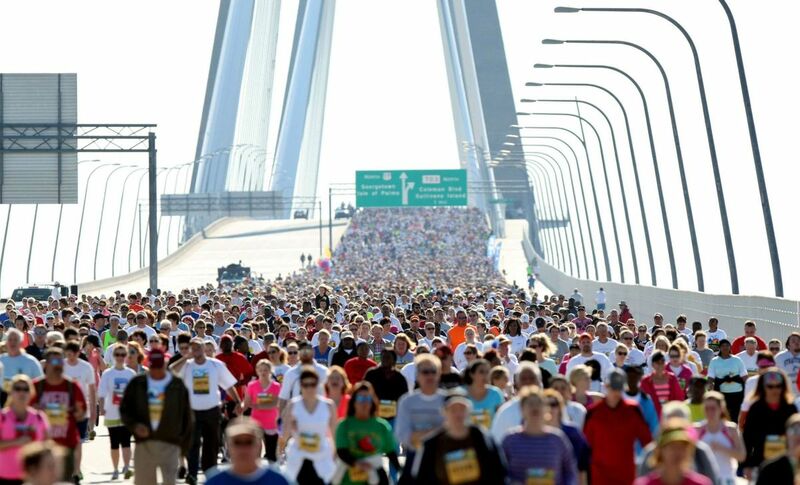 The race featured the Cooper River bridge in Charleston, SC. I heard it was a pretty rough ascent and I didn’t want to wear myself out before I got there, so I took it easy until the bridge. I kept waiting for it to get harder as we climbed, but it never did. When I finally got to the top of the bridge, I realized it just wasn’t that bad. Oops. This mistake cost me a minute or so. 40,000 people ran this race. I assumed it would be crowded at first, then thin out as the race went along. But it never thinned out, and there were even a few serious bottlenecks along the route so we nearly came to a stand-still a couple times. The better strategy was to start fast and aggressively pass people as often as possible. I didn’t realize this until the half-way point at the top of the bridge, where I started slipping through slower groups instead of waiting for an opening to go around them. I employed a pretty sweet sideways-hop-jog, and I even used a swim move a couple of times (thankfully, there is no video evidence that I’m aware of). This wasn’t so much a rookie mistake as a lack of planning. We got to stroll around downtown Charleston for a while after the race, but we took so long that we missed our chance to hit a really solid post-race lunch spot. 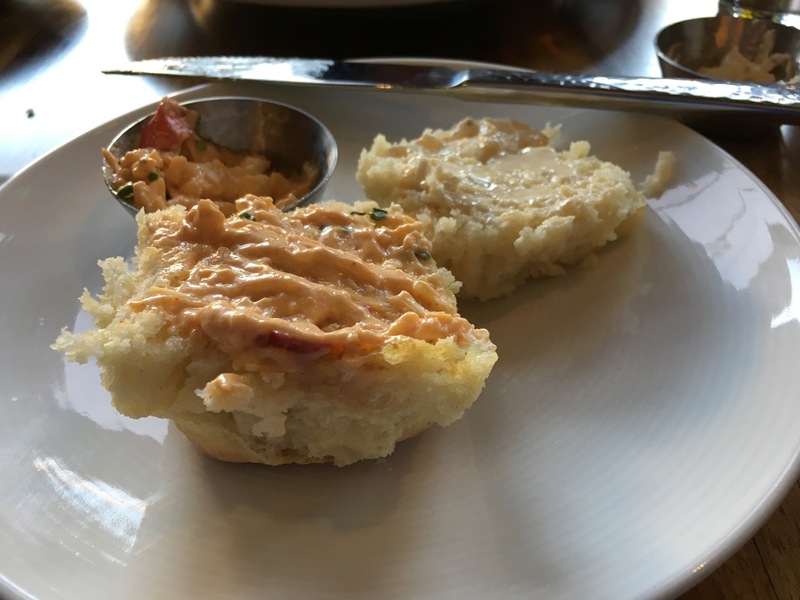 Our post-race lunch was ok, but it wasn’t quite world-class-Charleston-food good. We kind of made up for this by getting Jeni’s ice cream twice while we were in town, but this isn’t technically “Charleston food” so we don’t get full credit here. This mistake cost (saved?) me a thousand calories or so. My training partners, who had all run races before, gave me some helpful pre-race tips. I trained pretty hard. I had a plan going in. I still made rookie mistakes. I can’t beat myself up too much because I don’t think there was any other way to learn these lessons. Part of being a rookie is making rookie mistakes. Next time I’ll start faster, temper my fear of the unknown, and aggressively pass people. It should be easy to improve for my next race. You saw this coming, right? All three of the mistakes I made in the 10k are mistakes you could be making right now. Here’s how this story can help you take control of your career. That’s just not true. If you have skills that are valuable enough to command a paycheck, you have leverage to negotiate your starting salary. If you’ve been working for a while, learning new skills and proactively taking on new responsibilities, you have leverage to negotiate a raise. You will have more leverage later in your career, and you’ll make more money later in your career. But you can also make more money early on with the right tactics. Just like I psyched myself out before I even got to the bridge, you could psych yourself out before you negotiate your starting salary or ask for a raise. Keep accumulating responsibilities, make sure others notice the work you’re doing, and ask to be compensated for those new responsibilities. It’s not necessarily easy to do this, but it’s not as hard as you might think! If you hang back and wait for great opportunities to present themselves, you could be waiting a long time and you will probably miss out on lots of opportunities throughout your career. You should be pushing past your peers, working to proactively move to the next stage. If you keep your foot on the gas, continuously taking on new responsibilities, you’ll get many more opportunities for advancement and earn more money throughout your career. The good news is that even if you’re making these mistakes right now, you can correct them. The sooner you correct them, the more opportunities you’ll find to take on more responsibility and get paid what you’re worth. Want to avoid making rookie career mistakes? My book Fearless Salary Negotiation is jam-packed with strategy and tactics you can use to take control of your career and get paid what you’re worth. Dad listened, got the gist, then class was in session. He and my Stepmom run a business cleaning houses. How much could I learn about bootstrapping an online info-product business from someone who cleans houses every day? Quite a bit, it turns out! I had no idea how sophisticated their business was until Dad explained it to me. Business model: recurring work They run a productized service business with a recurring revenue model consisting of several pricing tiers. The most common is monthly recurring, but they also have bi-weekly and weekly recurring accounts. Business model: one-time work They also have a one-time consultation and delivery model for one-off projects. They ramp these up and down seasonally depending on how the recurring part of the business is going. They acquire these one-time engagements from other business owners who are always anxious to engage whenever possible (because their work is superior). Marketing and Customer Acquisition Their customer acquisition model is simple: They only work with word-of-mouth referrals from existing customers. They do not offer a free trial. Customer Onboarding Their onboarding process is a three-phase approach based on the highest priorities identified during a new-client consultation. They set a price for the first three engagements, identify the most pressing needs for the customer and address those needs in descending order during those first three engagements. At the end of the third engagement, they do a post-mortem on the first three sessions, determine whether they want to continue working with the client, and quote the client their custom recurring price if they want to keep working with that client. Customer retention Once they acquire a client, their churn is extremely low, and they fire clients about as often as the client ends the relationship. Margins and sustainability When they began the business, they scaled it up quickly, hiring employees to provide the service (essentially an agency model), but they decided the margins were too small and carried too much risk (payroll and legal). They scaled back to just the two of them. That was 20 years ago. Revenue They support their family (my Dad, Stepmom, and three siblings) with their business, and are able to ramp work up and down depending on one-off financial needs (new water heater). To repeat: This is a residential cleaning service. They clean houses every day. Here are the things I learned or remembered during our chat. 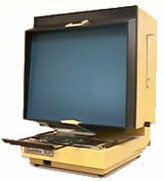 We mostly focused on the early stages when they were starting the business and trying to find the right model. We didn’t talk as much about the steady-state (last 15+ years). 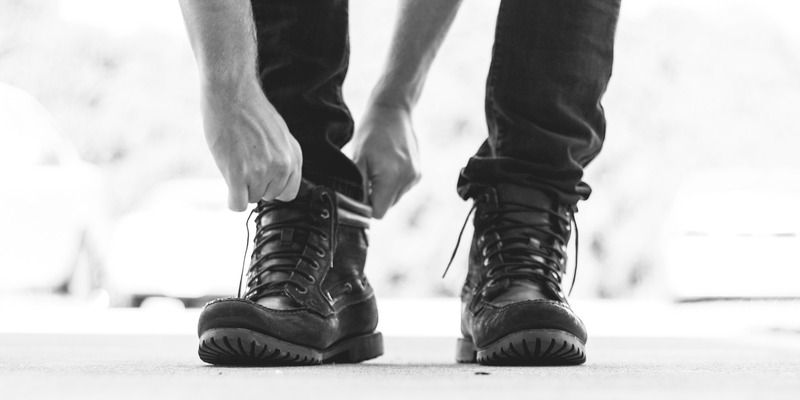 Bootstrapping a business is hard, and no two businesses are alike. That means it’s going to take a long time to figure out what the offering is, what the price should be, how to find customers, how to retain them, and how to onboard them. Lesson: Give it time. However much time you think it will take multiplied by 10 is a good starting point. 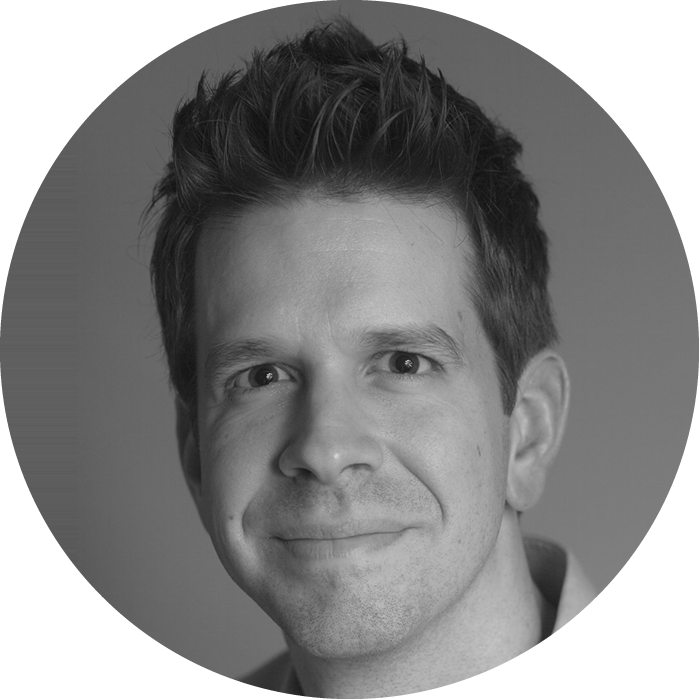 They went through several pricing models before they found the one that worked for them. Their first onboarding process was to charge a high fee for the initial consultation and cleaning, do a complete top-to-bottom cleaning to get the house into a clean state, then clean it monthly for a lower fee. That model seems solid, but the problem is the initial cost was too much for many clients and they just weren’t willing to take that kind of risk without knowing what sort of quality to expect. So that’s why they switched to the “first three engagements” model. They could take a guess at a good fee, handle the client’s most important needs first, get a feel for the relationship and then hit reset after the introduction period to set the long-term price or disengage. This is ingenious. They get more clients this way, and they don’t have to work extra hard to get them onboarded. Yet they’re addressing the client’s most urgent needs first, demonstrating early value and making the client extra happy. The cost of acquisition is lower and the initial cost for the client to engage is lower. Everyone wins. Lesson: Their onboarding is designed to address the biggest pain points first while allowing them to learn more about the client’s needs before taking them on and setting a recurring price. Looking at numbers is helpful here because it shows how clever their shift was, and how counterintuitive it must’ve been. By doing weekly cleanings where the work they do is limited by the hours they have available, they can have only about a quarter as many customers at any given time as if they did monthly cleanings. And they can charge less money per engagement (because the house isn’t as dirty). These numbers are made up because I don’t know what they charge. Let’s say they have 20 customers and they clean them all weekly. For simplicity, they charge $100 per cleaning per week. This means their max possible weekly revenue is $2,000, and we’ll call max possible monthly revenue $8,000. If they go to a monthly recurring model, a few interesting things happen. First, they can’t have as many customers because each cleaning takes a little longer. Let’s say each cleaning takes 25% more time/effort since the houses are dirtier. That means they can only do 15 engagements per week, or 60 engagements per month. But they can also charge more for each engagement because the houses need more done—they’re dirtier. Instead of $100 per engagement, let’s say they can charge $150. So now their weekly revenue goes up from $2,000 to $2,250 and their monthly revenue goes up to $9,000. Sweet! This is better for clients, too. Using the weekly model, a client would pay $400 for their house to be clean for a month. With the monthly model, they’re paying only $150 for a month of clean house. Yes, the house gets gradually dirtier for that month, but that “slightly dirtier on average” state is more than compensated for by paying less than half the monthly costs. It also turned out that these customers were higher-quality customers. “We initially offered a special of like $40 for a cleaning just to get their business. But those customers didn’t respect us or our work.” Those low-price, introductory customers required more work and were more difficult to satisfy. When they raised their prices, they got better customers. Lesson: The best model for them was a monthly recurring services model with more customers as opposed to fewer customers on a weekly recurring schedule. This helped them reduce risk, work with higher-quality customers, and bring in more revenue. I’m adding my two cents here, but I think this is important. Their business is cleaning houses. More precisely, Gary Vaynerchuck would say their business is offering time arbitrage for busy people who have a high opportunity cost for their time. The more someone values their time, the more they’re happy to pay to use that time doing something else. By charging more for this service, they were selecting customers who valued the service more. This means fewer customers who all put a greater value on the service. From a different perspective: If you were offering to sell an hour of your time, would you rather sell it to a person who values their own time at $40 an hour or a person who values their time at $100 an hour? I would rather sell to the person who values their time at $100 an hour because I can charge a lot more that way. Same unit of time, more money. But wait, there’s more! With monthly customers at a higher price, their margins also go up quite a bit because those fixed costs—travel time and gas—are only incurred 15 times instead of 20 per week. They get more revenue, less travel time, less gas used. Another benefit of having more customers: If they lose one customer, they lose less of their overall business. If they have 20 weekly customers and they lose one customer, that’s 5% of their business. But if they have 60 customers, each on a monthly contract, one customer is less than 2% of their business. Lesson: Charging higher prices for monthly engagements improves their margins and reduces customer attrition risk. They tried several different advertising tactics when they were getting the business off the ground. Now, they don’t advertise at all, but they had to advertise to get started. When I was nine or 10, I vividly remember flyering for the business in parking lots. They would get a box of flyers printed and cut, then we would all drive to a parking lot—usually in a strip mall or grocery store parking lot—and put a flyer under the driver’s side windshield wiper of every car in the lot. Turns out this wasn’t very effective, so they stopped doing it after a while. The quantity and quality of customers they acquired weren’t great. That risk paid huge dividends and the phone rang off the hook all year. They found a channel that worked, and they got more work than they could handle. That allowed them to start going all-in on their pricing strategy, raising prices and selecting for better customers. By the end of that year, they had mostly moved to the monthly model, they got rid of the low-cost introductory cleanings, and they started accepting new customers by word of mouth only. That was more than 15 years ago, and they haven’t advertised since. Lesson: Test, test, test advertising and marketing channels. If one isn’t working, try another. If one is working, hunker down there for a while. Another benefit of having more customers is it simplified the most challenging logistical problem they had: how to get to everyone. They live in Jacksonville, FL, which is the largest city by land-area in the country. “Largest city by land-area” is a nice bit of trivia, but it’s a huge pain when your job is to drive to houses all over the city. Let’s go back to our earlier example. If they had only 20 customers, arranging them in a way to minimize travel time between jobs was very challenging. There are far more than 20 “areas of town” in Jacksonville, so they could spend most of their day driving from job to job. Clumping jobs by geography only worked if they got lucky. Maybe three or four customers in one area of town would be available on Tuesdays, but probably not. But if they had 60 customers that were cleaned once a month, the chances were substantially higher that a trip to one area of town would put them near multiple customers. And since those customers only needed to be cleaned once a month, they could use many more days as slots for chunks of customers. For four customers in one area of town, maybe the first Tuesday of the month wouldn’t work, but the second Wednesday or the third Thursday might work just fine. It was much easier to clump customers geographically, saving lots of driving time and gas. Lesson: Fixed costs—gas and time—were their greatest business expenses, and the business model that worked for them also happened to minimize those expenses—not a coincidence. This is all very interesting on its own (to me, anyway), but the whole conversation was in the context of me working to build a business around Fearless Salary Negotiation. Dad also happens to be an author, so he understands what it’s like to build a business and what it’s like to write and sell books. So what were my takeaways from my chat with Dad? One trend I’ve noticed is that bootstrappers tend to artificially shrink their window of opportunity. They have an idea, start tinkering with it, then start a six-month shot clock to decide whether it’s going to work or not. Why that’s happening is beyond the scope of this post, but it’s definitely happening. Building a business from scratch just takes time. You can’t rush it. So, I need to be patient. 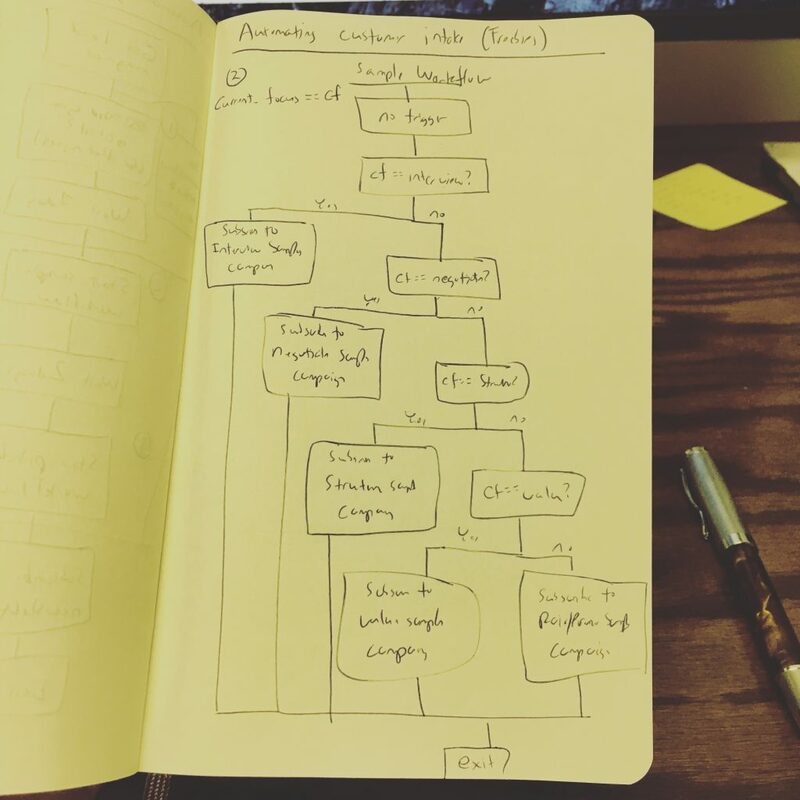 It’s been about 18 months since I quit my day job to publish my book and video courses, and I have only recently moved from “creating products and building a product ladder” to “building a business to sell those products”. I often feel like I’m moving too slow or failing, but that’s just silly. More specifically, I often look at what my income was at my day job and see how far I am from that right now. Then it feels like I’m wasting my time. I did five and a half years of undergraduate studies, worked about 10 years in an industry, and spent almost two and a half years getting my MBA. What would it say about the value of my day job if it were easy to replace all of that income with a brand new business in just a few months? A very common, very useful mantra in my neck of the woods is: Charge more! This is good advice, but I don’t think it applies to initial pricing. I’ve experimented with pricing quite a bit, and what I’ve found is that it’s best to start with a low-ish, reasonable price, get some sales, then slowly increase price and see what happens to sales. The reason this works is that it allows me to control for one thing at a time. In general, people are more inclined to buy things at lower prices, so if I offer something at a low-ish price and nobody buys it, then the thing itself could be the issue. I can tinker with the thing—the product itself, the marketing, etc.—to see if people start buying it. And once they start buying it, I can tinker with price to see how they respond. If I start at a high price and nobody buys, it’s hard to know if the product itself is no good, or if my price is just too high. The failure mode of starting with a too-low price is being inundated with lots and lots of sales and possibly having left money on the table for those initial sales. The failure mode of starting with a too-high price is having zero sales and struggling to explain why nobody bought. When you’re just getting started, every penny of revenue is precious, so I think it’s best to err on the side of too-low pricing. When I first started building this business, I would cast a wide net and monkey with lots of marketing channels at one time. That kind of worked, but it also left my time spread so thin that I did most of them poorly and never got much traction. Now, I tend to focus on a single marketing channel for some time—anywhere from a week to a couple months—to see how it goes. If it gets traction, I invest more time there. If it doesn’t get traction, I just ignore it and move on to other stuff. I might re-visit a low-traction marketing channel later on, but I’m comfortable backburnering it for quite a while if it’s just not working. The best example I have here is Quora. One day, a friend of mine sent me a link to a question he thought I could answer. I realized I could answer it pretty well, so I spent 30-45 minutes writing up a pretty good answer. Once I figured out how Quora worked, I answered a question every day for a month or two. That one experiment helped me get my first-ever streak of at least one new email subscriber per day. That was a huge milestone for me, and I still get quite a bit of traffic from my Quora answers although I haven’t been active there in several months. Flyers weren’t working, so my Dad and Stepmom cut their losses and invested in a new channel. That one channel was enough to build a 20-year business that no longer requires advertising of any kind. “How’s that work?” All of their new business comes from referrals. All of it. How’s that for a flywheel? My big takeaway was this isn’t going to be easy. Looking back, I’m glad it hasn’t been easy. I thought I was figuring out how to sell more books, but I was learning how to build a business. The nice thing about that is I can reuse everything I’ve learned next time I start a business. We had been going for almost 90 minutes when Dad said, “Ok, I gotta run. Midnight to 3 are my peak hours for getting in a groove.” He’s writing his next novel and had to get as much done as possible before work on Monday morning. My Dad and Stepmom have made a living from their small business for over 20 years. They bought a house, had more kids, and nearly doubled the size of the house with an addition they built themselves on nights and weekends after work. I helped them frame one of the walls. That is a trivial contribution, but shows you what I mean when I say “…an addition they built themselves…” They literally built another house onto the original one. After work. On nights and weekends. “Ok, but lots of people do side projects on nights and weekends after work.” It’s true—I’ve been doing that for years. But my work was almost exclusively desk work, where I would do things like make trips to the kitchen for water once an hour as a way to get exercise. Contrast this with their day job: Cleaning houses. You know how beat up you feel after an afternoon of cleaning your house? Imagine cleaning three, four, five houses a day, every day, five or six days a week. For more than 20 years. 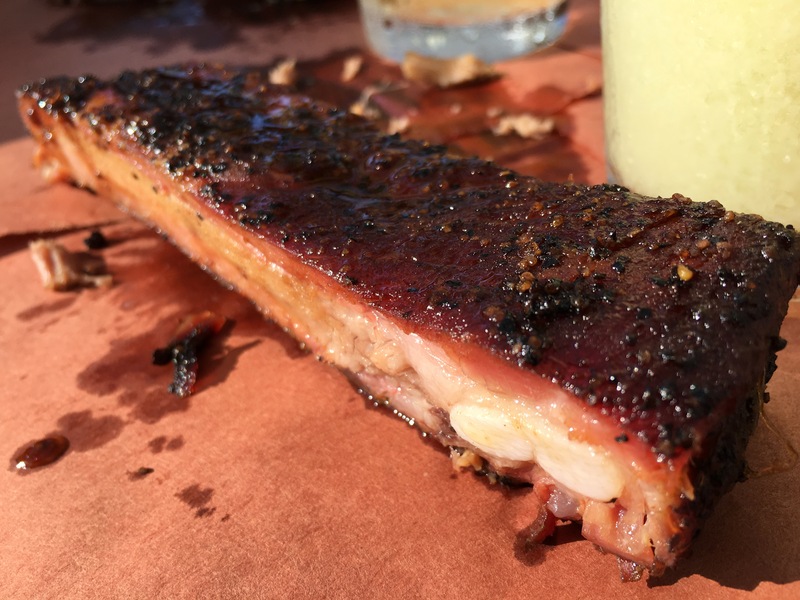 Now imagine you head home at 6 o’clock, throw something in the microwave real quick, then go back outside to put down footers, frame walls, add insulation, build a roof on a new addition to your house. You work until you can’t go anymore, drop off to sleep for a few hours, and wake up to go clean houses again. When they finished the addition, they started creating—writing, drawing—on the same schedule. So that should give you a pretty good sense where my Dad is coming from in this conversation. As for me? Well, things were intense. This conversation happened about five months after I quit my day job to publish Fearless Salary Negotiation and take a shot at building a business around it. By the time I had this chat with my Dad, I had published and launched the book, but not much else. I was mid-way through building the video courses to accompany the book, and it was grueling work. The entire process took about 10 weeks, working seven days a week. Most of the work was extremely tedious. When I had a day job, that meant a paycheck every two weeks. That paycheck was confirmation that something was working. It’s constant feedback that the previous two weeks had value to someone, and here’s my cut of that value. One thing about turning side projects into full-time work is that it’s easy to feel adrift because I rarely have that kind of feedback. My situation was particularly challenging because I was in “create” mode, which meant making the things I hoped would bring in money some day. Yes, the book was out there, but the bigger stuff I thought could bring in real income didn’t even exist yet. I had to make it. And making things always takes longer than I expect. Sometimes, I get some good feedback—a good book launch, for example—but most of the time, I toil away with no feedback at all. Actually, that’s not entirely true. Any time I look at my bank balance, I get feedback: I had less money one day than the previous day; my savings was slowly drying up. That’s the opposite of the feedback I had with that bi-weekly paycheck from my day job. So when I had this chat with my Dad, I felt lower than I had felt since quitting my job almost five months earlier. I felt really low. I wondered if I was just a fool, spending my savings and setting myself back for no good reason. That call couldn’t have come at a better time. Give it time However much time you think it will take multiplied by 10 is a good starting point. Solve the biggest pain points first Their onboarding is designed to address the biggest pain points first while allowing them to learn more about the client’s needs before taking them on and setting a recurring price. More customers is probably better than fewer customers The best model for them was a monthly recurring services model with more customers as opposed to fewer customers on a weekly recurring schedule. This helped them reduce risk, work with higher-quality customers, and bring in more revenue. Charge more Charging higher prices for monthly engagements improves their margins and reduces customer attrition risk. Try lots of marketing channels to see what works for your business Test, test, test advertising and marketing channels. If one isn’t working, try another. If one is working, hunker down there for a while. Minimize fixed costs early, and you’ll be profitable sooner Fixed costs—gas and time—were their greatest business expenses, and the business model that worked for them also happened to minimize those expenses—not a coincidence. Is there anything GOOD about Tax Day? I just finished my 2016 taxes. Tax Day is one of the few times I look backwards to measure my progress. The two big questions I always ask myself are “Was this year better than last year?” and “What can I do to make next year even better?” I still do this every year now that I’m self-employed. Earning more isn’t just about getting a bigger paycheck—it’s about measuring progress in the areas where you’re investing. Here’s a graph of my income through the first 11 years of my career or so. You can see that I made solid progress over the long-term, but there were short-term dips where I actually moved backwards. Because I knew that making short-term sacrifices would lead to longer-term progress. Those little steps back were career changes where I moved from electrical engineering to consulting, or got my first opportunity to build a team. This is a great illustration of the difference between strategy (my long-term plan) and tactics (the individual actions I took to execute on my long-term strategy). Making progress requires a mix of tactics that increase your salary and increase your future potential to earn a higher salary. Sometimes, you should simply use smart tactics to ask for a raise. Sometimes, you should zoom out and take a strategic approach by looking for a position with more long-term career growth (like a managerial role, or a role that will enable you to add a new skill to your repertoire). Strategy and tactics. Of course, most of those steps are a mix of strategy and tactics, but you can see that each step leans pretty heavily one way or the other. The most important thing is that you have an overall career strategy so that you can deploy the right tactics at the right time to execute on your strategy. My book Fearless Salary Negotiation is jam-packed with valuable tactics you can use to increase your salary throughout your career. Learn how to get your next raise or promotion, how to ace your job interviews, and how to negotiate a higher salary. I also offer 1-on-1 strategy sessions where we’ll dial in your long-term career strategy. Have you ever been this excited about a couple dollars of candy? I like movies, and I really like Oscars season. I usually try to watch all the Best Picture nominees, although I didn’t quite make it this year. Before I tell you about it, think for a minute about the people who go to the Oscars. Most of them are famous. Many of them are far more wealthy than I can even really comprehend. These are people who fly on private jets. They own mansions. They own vacation homes in fancy-sounding places around the world. They can have pretty much whatever they want whenever they want it. What are they so excited about? Jimmy Kimmel air-dropped free candy onto the audience and they went nuts over it. When’s the last time you were this excited about a couple dollars of candy? Have you ever been this excited about a couple dollars of candy? I don’t think I have, and I love candy. This is fantastic because Jimmy found a way to turn a couple dollars worth of candy into ecstasy for people who could literally buy the company that makes the candy. So how did he get millionaires to freak out over a couple dollars worth of candy? After the show, he said he knew people would get cranky as the show went on, but he needed the audience to be on their A-game all night because they’re such a big part of the show. So he gave them surprise snacks to keep them awake and happy. The result? Celebrities looking longingly at other celebrities’ candy. Jimmy identified a specific problem—the audience would get cranky without snacks—and provided a timely solution that was totally unexpected. You can use this same tactic to get an outsized reaction in your job interviews. How? Do some basic research (Google) so you know what needs the company currently has, and think specifically about how you can help them address those needs. For example, if the company’s Jobs page is full of listings for Sales people in the mid-west region, they’re probably trying to grow the business in that region. And you would think about how your skillset and experience could contribute—directly or indirectly—to that goal. You can do this basic research in just 10–15 minutes, but the result can be huge: Drop some Red Vines into your interview, and you’ll get more high-quality job offers and more room to negotiate those offers. I call this interview technique “positioning”, and it’s a very potent tool you can use to differentiate yourself from other similarly-qualified candidates in your interviews and even when asking for a raise. The Complete Bundle of Fearless Salary Negotiation includes an expert interview on exactly how to use positioning to get more high-quality job offers. Plus it has nearly three hours of video courses, email templates, worksheets, case studies and everything you need to know exactly what to say in your job interviews. 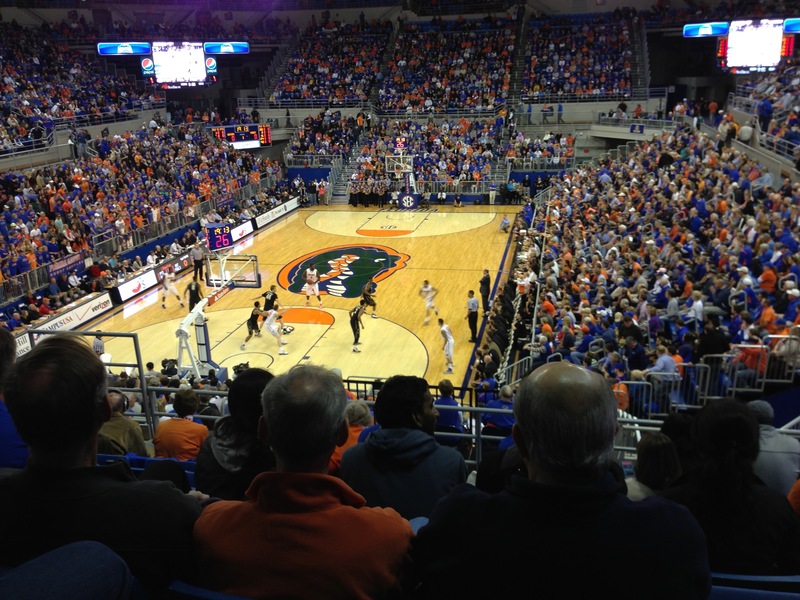 I finally got to go to a basketball game at the Gators’ new Exactech Arena (most of us call it the O’Dome) here in Gainesville. It’s fantastic. The seats are more comfortable, the layout is better (not a bad seat in the house), and the overall experience is better. Not bad! I saw a lot of great games there. Before you read anymore, consider this question: In that picture, what’s the focus? For me, the first thing I see is those bright screens up in the corners. Then I see the game on the court, but even looking at the game, I’m distracted by the floor-level screens with ads on them. And my focus also gets pulled out to all the fans. Yes, there’s a game going on, but the scoreboards, ads, and other fans are getting much of my attention too. Now consider the same question I asked about the old arena: In that picture, what’s the focus? There are still bright screens up top, but the other fans are almost invisible—I have to actively look for them. And even though there are bright screens above the game, my focus is constantly pulled toward the game on the court. This is the same building, same type of event, and I was sitting in the same part of the arena for both pictures. But the new arena is clearly a better experience. 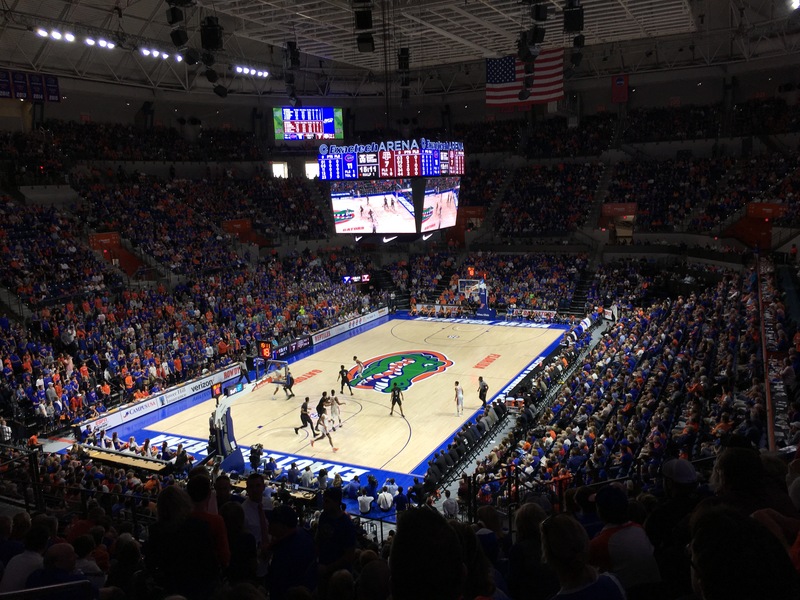 Why is the new O’Dome better than the old one? I went to a lot of games in the old O’Dome, and they were a lot of fun. But my first experience in the new O’Dome felt special because the new design helps me focus on the things that really matter. There are two things that really stand out to me about the new design, and I’ve heard lots of other people talking about them as well. The lighting is better. Before, the whole arena was lit, so watching a basketball game was sort of like watching a movie while the theatre lights were on. It was the same game, but there were lots of distractions. Now, the court is well lit, and the rest of the arena is much darker, so the floor is the focal point of the arena and other distractions are minimized. That makes it easier to focus on the game, which is why we’re there, right? The are almost 1,500 fewer seats (down from 11,548 to 10,133). This seems counterintuitive, especially in the South where arenas and stadiums have been adding capacity for decades now. But the result is fantastic: All of the seats are more comfortable and the space feels more intimate. The new experience is so good that I’m telling you about it here, and I’m going to another game tonight. When you’re moving forward in your career, help the decision makers focus on the few things that really matter. Do the work for them, just like the new O’Dome does for fans: it helps us focus completely on the game because the entire arena is designed for that purpose. When you’re interviewing, this means learning about the company—their goals and challenges—and describing how you are uniquely qualified to help them address those things. When you’re pursuing a raise or promotion, this means focusing on the specific ways that you’re making the team or company better by either improving the business itself, driving additional revenue, or reducing costs. Fearless Salary Negotiation is going on sale next week! My book Fearless Salary Negotiation will show you exactly what to say to help them focus on your best attributes in your interviews and when you ask for your next raise. I studied Computer Engineering as an undergrad student at the University of Florida, and then later I went back for my MBA (Go Gators!). So it’s no surprise that I spend my days doing a mix of engineering and business administration. Last month was a little unusual because I was almost entirely focused on a big engineering project. And although the entire project is focused on you, I hope you didn’t notice. This is how I send readers the most useful information as quickly as possible. Instead of making assumptions and sending generic advice, this workflow helps me to find out where you’re focused right now—interviewing, negotiating a new salary, or planning to ask for a raise—so I can send timely advice right away. 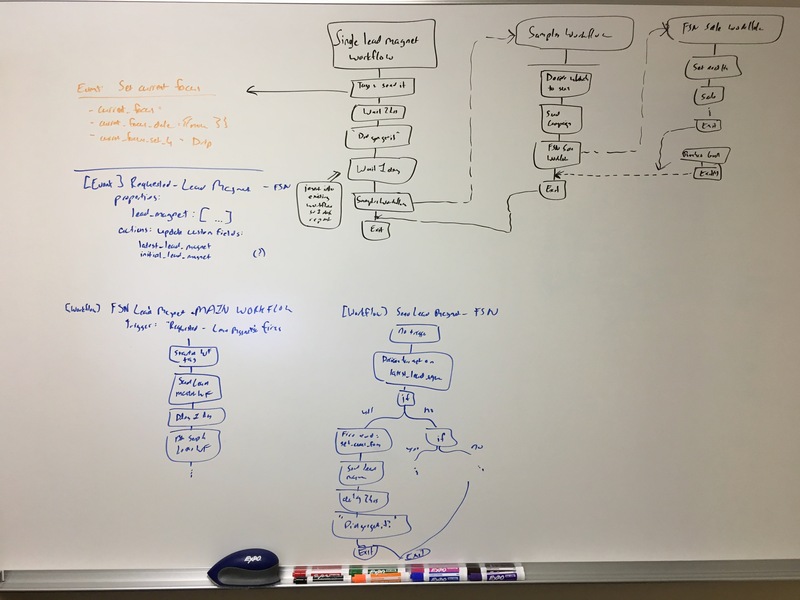 I spend most of my day asking myself, “How can I make this better?” Sometimes that leads me to an engineering task, and sometimes it leads me to a business task. But I almost always enjoy what I do. A big part of this project was improving the bundles I offer for my book, Fearless Salary Negotiation. If you’re ready to finally take control of your career, check it out! My friends invented a game called Trashcan Ball. It’s a mash-up of soccer, lacrosse, and basketball. 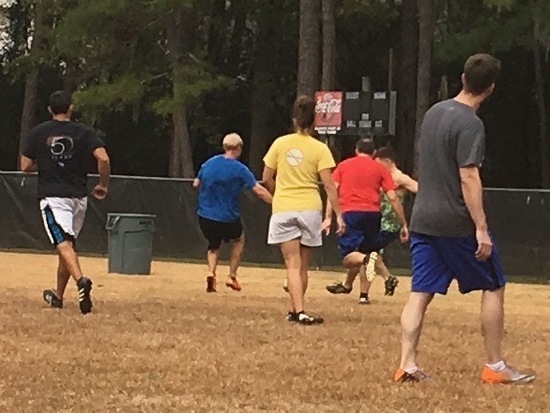 You score by putting the ball in the other team’s trashcan. You can carry the ball, throw it, or kick it, but if you get tagged while you’re holding the ball in your hand, it’s a turnover. That’s basically all there is to it. But there also aren’t any boundaries and the game never stops moving. It’s my favorite way to work out. 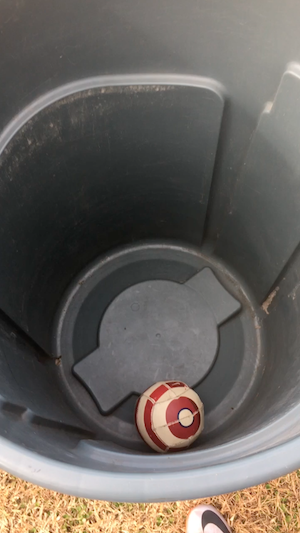 I like trashcan ball so much because it’s a very simple game to learn—I told you all the rules in one sentence—but it’s really hard to play well. One day I made a mistake on a fast-break in a really tight game. James—one of my teammates—told me I messed it up, but I didn’t quite understand how I messed it up. I thought about that mistake a lot over the next couple days, and just couldn’t figure out the right way to run that particular play. I was stumped. Then I got it. I knew where I messed up and I understood fast-breaks better so I wouldn’t make similar mistakes in the future. I couldn’t figure it out on my own, but it only took James a couple sentences to set me straight because he’s a good coach. Good coaches understand their subject and have a unique ability to help people understand the subject and get results. I just finished a coaching engagement with a client who had job offers from a couple of big-name companies. He really had his eye on one of those companies, but their offer just wasn’t all that great. “How can we get them to improve this offer?”, he wanted to know. So we went back to them and—are you ready for this?—asked them for a better offer. 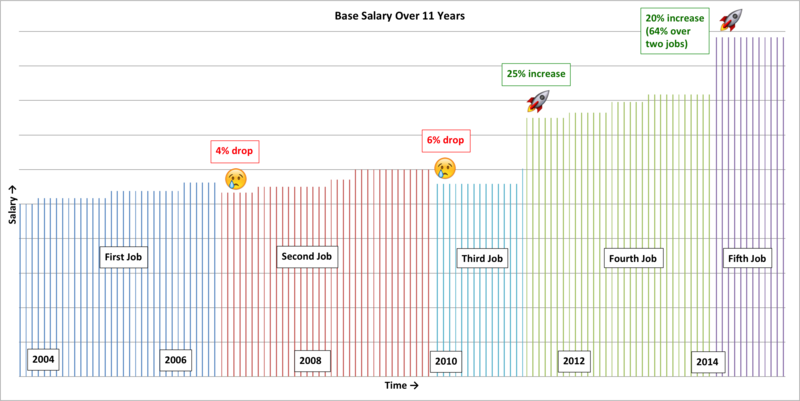 They improved the base salary and target bonus components by about $3,000 each, but we felt like he could still do better. So we worked together on a counter offer. In the end, they threw in a $10,000 signing bonus to help convince him to take the job. We worked together to improve his original offer by over $16,000! He’s going to use most of it to help pay down student loans, and he and his wife could take a nice vacation this year, too. Expecting a job offer soon? Don’t try to figure out salary negotiation on your own. My book Fearless Salary Negotiation will be your guide. ANYWAY, that job was awful. But I figured that if I just worked hard enough, I would eventually finish all of the t-patching and they would have to give me something better to do. So I flew through that t-patching. My boss brought me a box, and I finished it in a few hours. Then she brought me another box and I finished that one even faster, so she brought me two boxes the next time. I knocked them out really quickly. FINALLY! Of course I accepted, and they sent me to three weeks of training and gave me a raise to $10.25 an hour. My first raise and promotion only two weeks in! Then I understood. There was practically an infinite amount of t-patching to be done—I was never going to finish, even if I kept up my pace for the entire summer. If I had known that, I never would’ve worked as hard as I did. But I didn’t know that, so I worked as hard as I could to get it over with. It took me several more years to realize that’s not how it usually works. After that job, I had several others where I did great work and rarely got promoted. I eventually realized there’s more to it than working really hard—there are two steps to getting a raise. Do valuable work that wasn’t anticipated last time your salary was set. Ask to be compensated for that valuable work. Most bosses are just too busy to keep close tabs on your work and adjust your salary over time, so in addition to doing valuable work, you also have to help them out by keeping track of that work and presenting a strong case along with a specific request when you’re ready for a raise. That second step—asking to be compensated for that unanticipated value—is the one I didn’t learn until later on. But it’s just as important! You have to proactively manage your career—no one else is going to do it for you. Are you familiar with “interval training”? I’ve been doing a lot more of it lately. Basically, instead of exercising at one pace for a long time, I work really hard for shorter amounts of time, then rest in between bursts. I like it because it keeps me from getting bored and there’s some evidence that it’s better than traditional “cardio” for building endurance. As interval workouts go, this one is pretty mild because most of our group is just starting to get in shape (myself included). But it’s still an interval workout where we work hard for a short time, then take short breaks to rest before the next interval. In fact, the breaks between intervals aren’t just for rest—I also use them to plan for the next interval. “How hard can I push myself on this next one? How many do I have left?” I want to get the most out of each interval while saving enough energy to do all of the intervals for that workout. As you move through your career, you’ll spend most of your time moving along at a regular pace, planning for your next big push. Then you’ll do a short sprint to go after a raise or change jobs. That’s when things can get crazy. It’s important to have a plan and a goal before each big push. 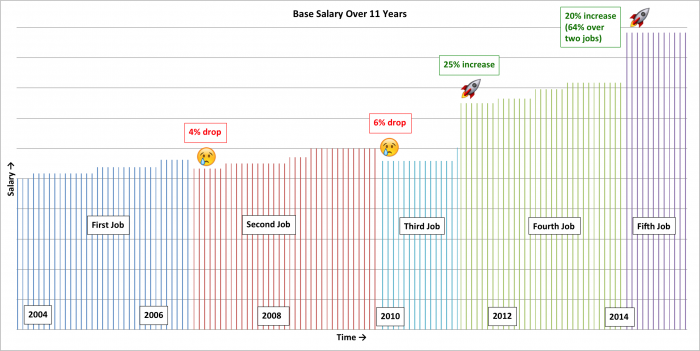 If you’re going for a raise, what’s your goal? What do you have to do to give yourself the best chance of getting that raise? If you’re changing jobs, it’s important to invest some time in preparing for your interviews and steeling yourself for your negotiations. If you see your career as an interval workout, then you’ll always either be planning your next move or pushing to get there. This strategy will help you make more progress at a faster rate so you get more opportunities and earn more income over your career. My book Fearless Salary Negotiation will help you get paid what you’re worth at every phase of the career cycle. It’s written to be as useful two years from now as it is today. If you’re changing jobs now, Fearless Salary Negotiation will help you prepare for your job interviews and negotiate your salary without leaving anything on the table. Looking for a raise? Fearless Salary Negotiation will show you exactly how to do it. 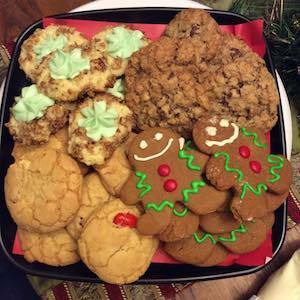 My Mom recently started a baking business. I’m pretty excited about that because every time I visit, she has lots of new treats for me to try. I’ve been the beneficiary of her great baking ability all my life (she still makes me a hummingbird cake for my birthday almost every year), and I’m glad others can now experience it as well. Clockwise from the top-left: Party butter, Cowboy, Gingerbread, White chocolate cherry chunk. They’re all amazing. What’s your point? I’m trying to get through my last week of Whole 30 over here! Sorry about that, but I do have a point! That picture above is from her Christmas menu, but that’s old news now. When I saw her this past weekend, she was already working on her Valentine’s Day menu. Next she’ll make her Mother’s Day menu. Then Father’s Day and on and on. Most people don’t think about those holidays until they’re a day or so away and they suddenly need a last-minute gift. But since Mom is planning her menu ahead of time, she’ll have just the thing for each of those last-minute shoppers. You should do the same thing with your career. Want a raise? Find the next time when there will be budget available and start planning about 90 days out so you have time to get everything in order before it’s time to ask. Want a promotion? You can start planning right now. Find the next job in your career path, and start thinking about how you can demonstrate that you’re ready for the role. It typically takes about 6 months to make your plan and do the work to show you’re ready for a promotion, so the sooner you start, the better! My Mom says you should plan ahead to avoid making mistakes. My book Fearless Salary Negotiation has everything you need to plan ahead and be prepared to get paid what you’re worth. Check it out!